He’s an Australian entrepreneur who values education so much he dropped out of university. If you think that’s unconventional, then you need to read Jack Delosa’s new book, ‘Unwritten. Reinvent Tomorrow’ – an in-depth look at the guiding principles of those who have entrepreneurial spirit and live by it. 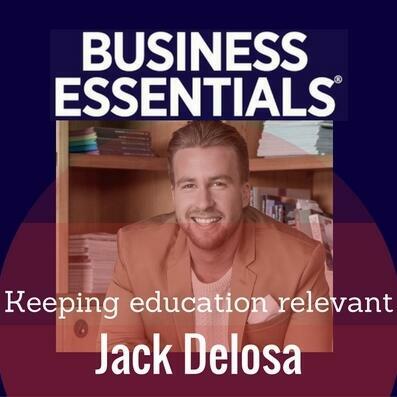 Jack Delosa is CEO of The Entourage, Australia’s largest educational institution for entrepreneurs, and he tells Business Essentials how entrepreneurs live by their own compass.